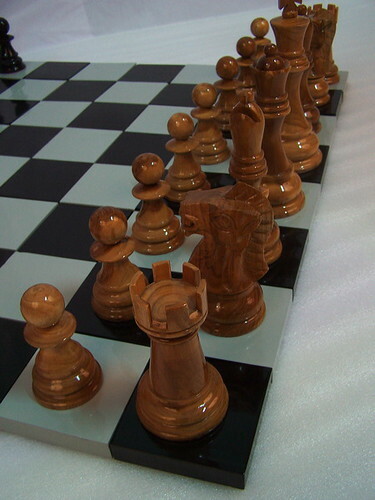 This is one of wood giant chess collection that suitable use for outdoor game. This kind of giant chess is very popular for kids and adolescents. Perfect for garden and yard decoration, so that your children can enjoy to play at your garden. Let your children explore their imaginative and learn to solve a problem by give them chess game. Garden activity is very fun activity for children. So why you not support them by wood giant chess set. Not for games only. Wooden giant chess pieces also perfect for your garden decoration. Polished in brown color and add with glossy touch, make it looks charming. Get also in other color for your interesting game. This product is made of Teak wood from Java island. So you do not need worry about its durable, because we had choose the best Teak as its main material. You can lay it at your outdoor space for months and in any seasons.